SCARBOROUGH, Maine (AP) — John C. Houbolt, an engineer whose contributions to the U.S. space program were vital to NASA's successful moon landing in 1969, has died. He was 95. Houbolt died Tuesday at a nursing home in Scarborough, Maine, of complications from Parkinson's disease, his son-in-law Tucker Withington, of Plymouth, Mass., confirmed Saturday. His efforts in the early 1960s are largely credited with convincing NASA to focus on the launch of a module carrying a crew from lunar orbit, rather than a rocket from Earth or a space craft while orbiting the planet. 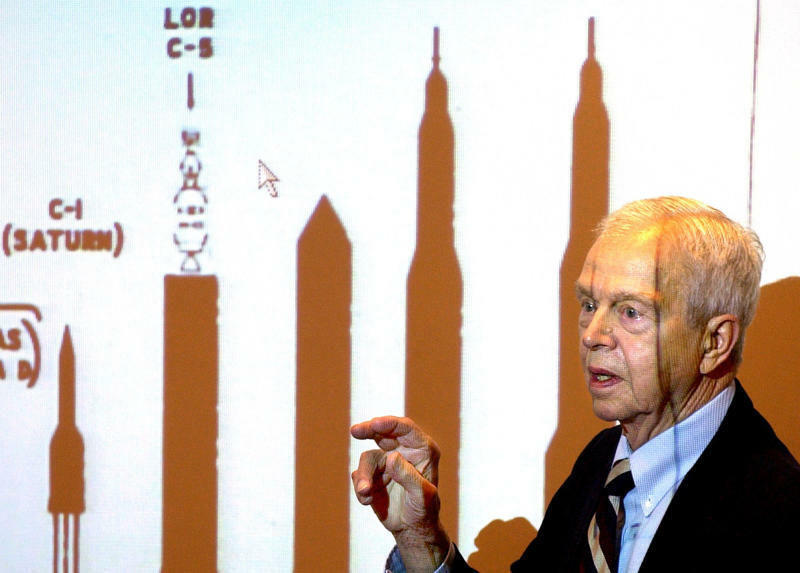 Houbolt argued that a lunar orbit rendezvous, or lor, would not only be less mechanically and financially onerous than building a huge rocket to take man to the moon or launching a craft while orbiting the Earth, but lor was the only option to meet President John F. Kennedy's challenge before the end of the decade. "Do we want to go to the moon or not?" Houbolt asks. "... why is a much less grandiose scheme involving rendezvous ostracized or put on the defensive? I fully realize that contacting you in this manner is somewhat unorthodox, but the issues at stake are crucial enough to us all that an unusual course is warranted." Houbolt started his career with NASA's predecessor in Hampton, Va., in 1942, served in the Army Corps of Engineers, and worked in an aeronautical research and consulting firm in Princeton, N.J., before returning to NASA in 1976 as chief aeronautical scientist. He retired in 1985 but continued private consulting work. Born April 10, 1919, in Altoona, Iowa, Houbolt grew up in Joliet, Ill., and earned degrees in civil engineering from the University of Illinois at Urbana-Champaign. He earned a doctorate from the Swiss Federal Institute of Technology at Zurich in 1957.